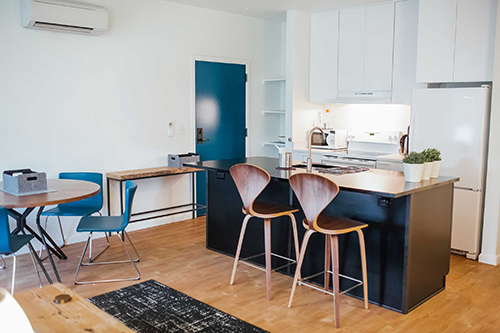 We are pleased to announce the opening of our most modern creation yet, four newly-built, furnished apartments in studio, 1 and 2-bedroom options. 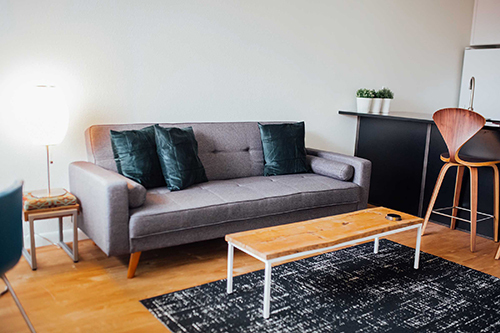 You’ll have more room to unwind and all the amenities to make your visit feel more like home—if your home looked like the Modern, that is. Our extended-stay units are located just one block north of our main hotel in the Watercooler Apartments, giving you easy access to downtown shopping and entertainment; the Greenbelt and the Boise River or the Boise foothills; the Idaho State Capitol; and the campus of Boise State University. 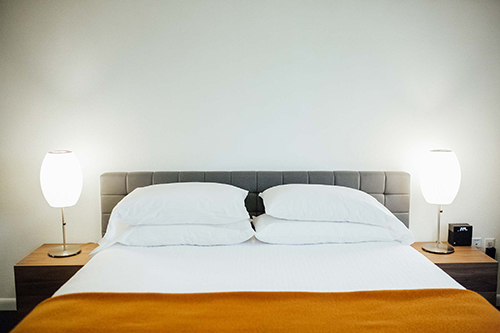 premiere boutique hotel, including all the same perks as hotel guests: complimentary airport shuttle, free bike rentals for local excursions, Wi-Fi and cable TV access, onsite parking spaces, business center, and gym access at The Owyhee. Stay in for a quiet meal in your suite, or catch the local buzz from the onsite courtyard, where you can share drinks and small plates around the fire pit with a new acquaintance or a long-time friend. Stay more modern in our extended-stay suites. All units can be booked for up to one month. For reservations, book HERE. Posted in ROOMS, STAY and tagged boise, extended stay, apartments, Modern Hotel Apartments, Watercooler, LocalConstruct.